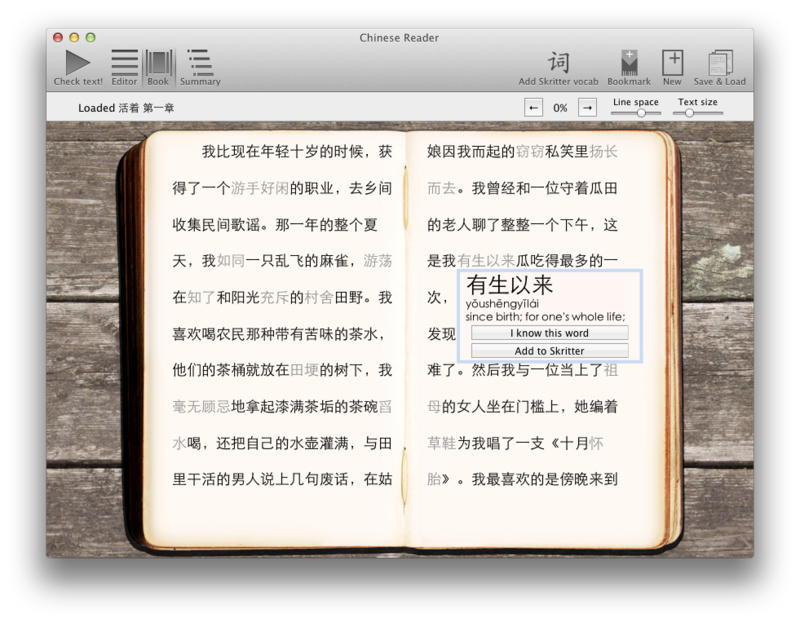 Making reading a pleasure for Chinese learners. Please drop me an email if there's anything you would like to see added. 23/04/16 An unsubtle plug, but my Chinese teacher (highly recommend!) has just launched website for lessons over Skype/WeChat (here). 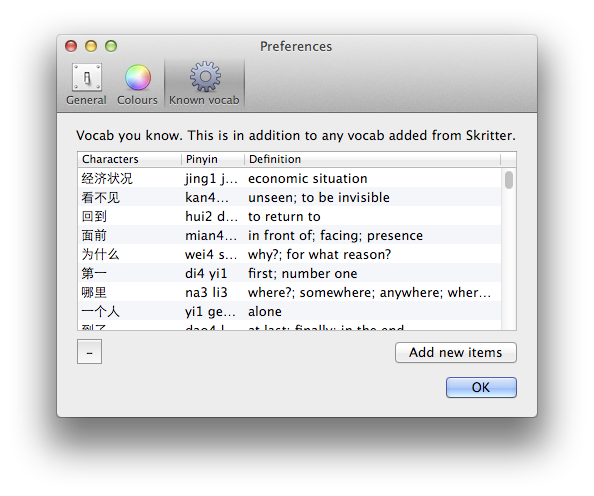 29/12/15 Update: added a feature that allows words not in the internal dictionary to be quick added to Skritter. Or add from any other source! Per a request, added a feature that allows any word to be selected and added to Skritter, even if it doesn't exist in the app's dictionary. 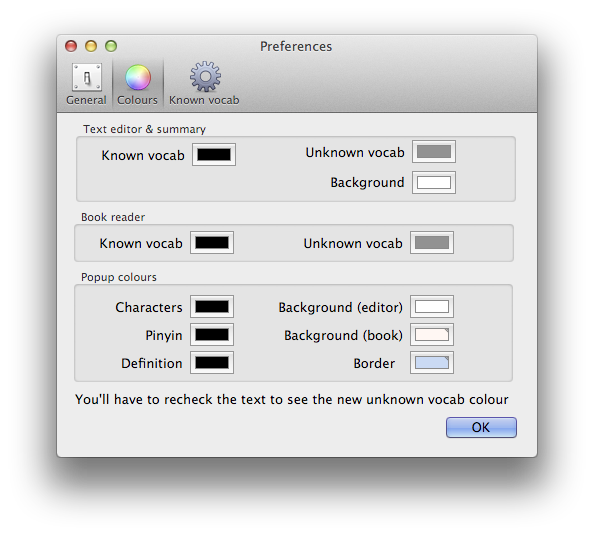 If the word is not known to the internal dictionary, any further appearances of the word will mean it appears in popups with the text "** Not in dictionary **". However, once the word has been added and studied in Skritter, when the Skritter data is subsequently reimported into the app, it will update with the definition from Skritter. 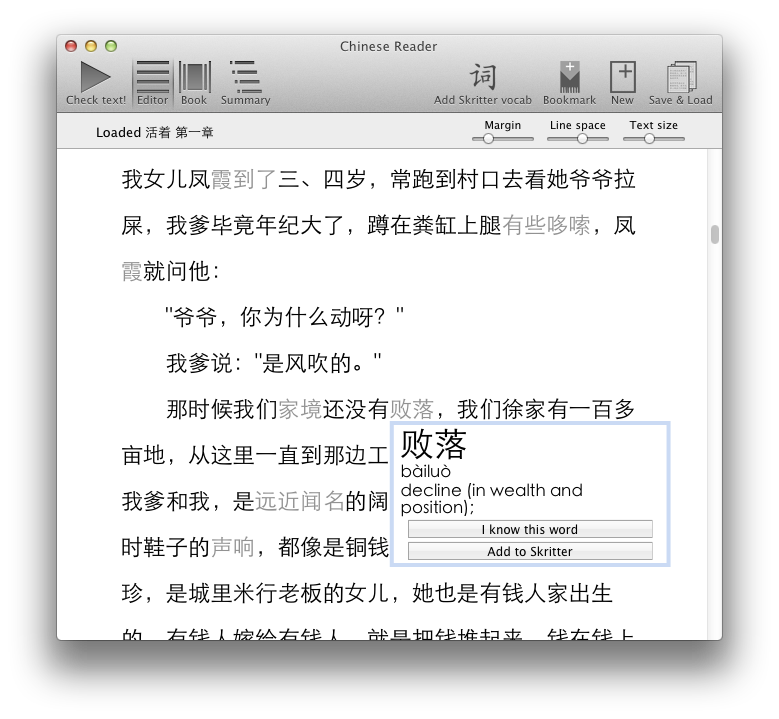 The feature is found in the edit menu (shortcut: CMD-G). 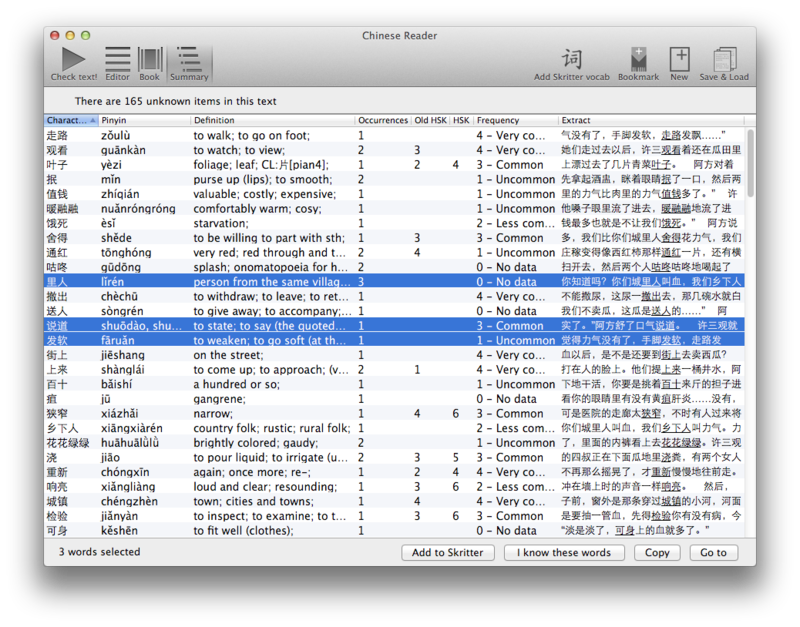 Fixes a significant bug relating to the correct highlighting for non-Skritter users. This complements the prior release which did not fully implement the fix. Fixed a bug which prevented known words being highlighted for non-Skritter users.